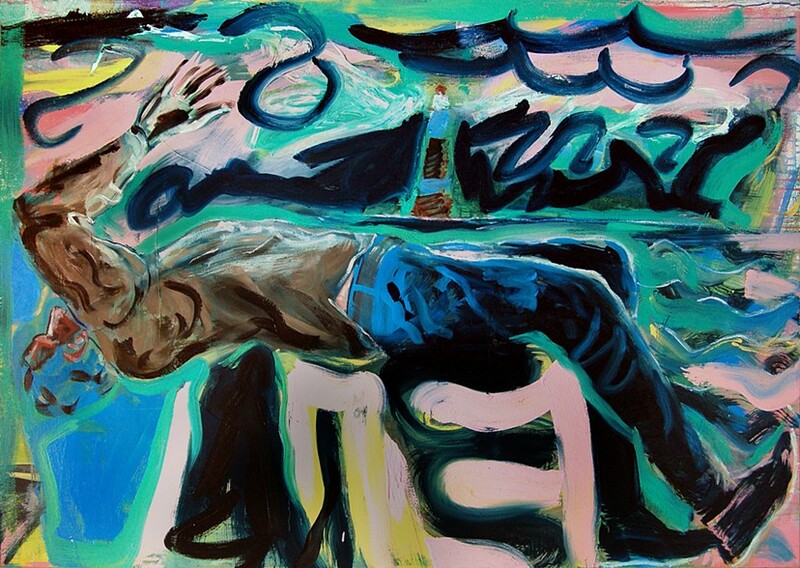 Simon Bayliss, Wreck, huile et acrylique sur toile, 2012, 170 x 120 cm. and Richard Brautigan’s laughing on the balcony of the 7th floor. he’ll kill the whole camp in a single laugh.